Well known Indian supper club Little Kolkata will be opening its first permanent site in Covent Garden in just a fortnight’s time. With a menu revolving around the different styles of food available in eclectic Calcutta, the 75-cover restaurant is currently offering 50% off through Hot Dinner (see below) until launch day on September 17. Taking inspiration from street food, canteen grub and home-cooked meals, to Bengali wedding menus and old Mughal recipes, Little Kolkata will continue to maintain the communal and familial nature of its supper club by making available its sharing plates. Classic dishes will include ilish maacher deemer, spiced roe from the hilsa family – a popular fish species among Bengalis. 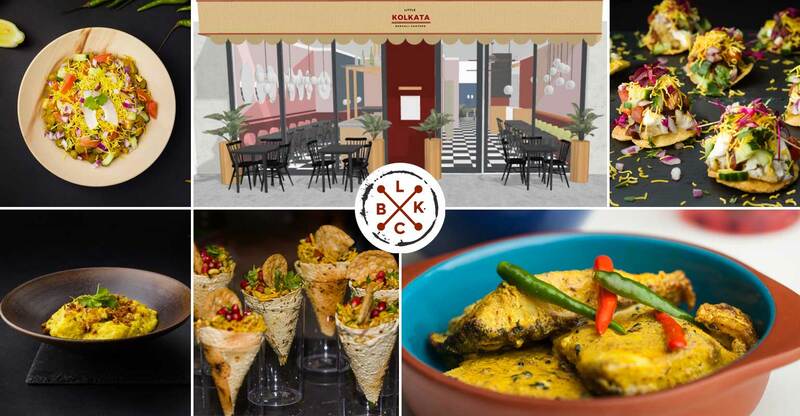 Having introduced London to Bengali cuisine through supper clubs in 2015, its founders Prabir Kumar Chattopadhyay and Biswajit Deb Das have now established a canteen-style restaurant that’s decorated with quirky yet authentically Bengali interiors emulating old heritage homes back home. The Hot Dinners’ 50% off discount is applicable on Little Kolkata’s food bill (a la carte only) until 16 September 2018 (excluding 13th) for lunch and dinner. Book online and add 50% to the online request box or call 0207 240 7084 or email gary.b@littlekolkata.co.uk quoting LITTLE KOLKATA 50% OFF. This offer runs from 3 September to 16 September 2018 only, excluding 13 September. 51-53 Shelton Street, London, WC2H 9JU.